Digital transformation is rewriting the rules of competition, shifting business models, and creating new value for nearly every industry. At the core of this transformation is an inevitability: every physical thing in the world that can be connected will be. This means that manufacturers will be able to instrument every physical product they make and sell and connect them to the Web to generate massive amounts of data and enable innovation never before possible. This digitization of the physical will allow the trillions of consumer products produced each year to become more intelligent, interactive, and trackable, and therefore more valuable to their manufacturers and to the consumers who buy and use them. At EVRYTHNG, we believe that this smart product revolution begins by connecting the packaging. Over the past year, we have established partnerships with some of the world’s leading consumer product packaging and labeling companies, including Avery Dennison, Crown Holdings and WestRock. These embedded partnerships at the root of the supply chain have allowed us to establish a new standard: products that are #BornDigital™. This concept refers to physical products embedded with unique digital identities and associated software capabilities in the cloud right at the point of manufacture. We think of every physical product as only partially complete. The “cloud half” of the product is its corresponding digital identity; this follows the product throughout its entire lifecycle and evolves as data is generated and accumulated with each digital product interaction. This data is what unlocks enormous value for both the manufacturer and the end-consumer throughout the product lifecycle—from materials sourcing and manufacture all the way through to point of sale, post-purchase use, and even recycling. This is the critical role label and packaging companies can now play in the smart products revolution: by equipping physical product packs with digital identities packaging, these companies can enable a variety of digital services to brand customers for their supply chain operations and direct consumer relationships. For example, one of the greatest potentials of smart packaging is full product traceability. 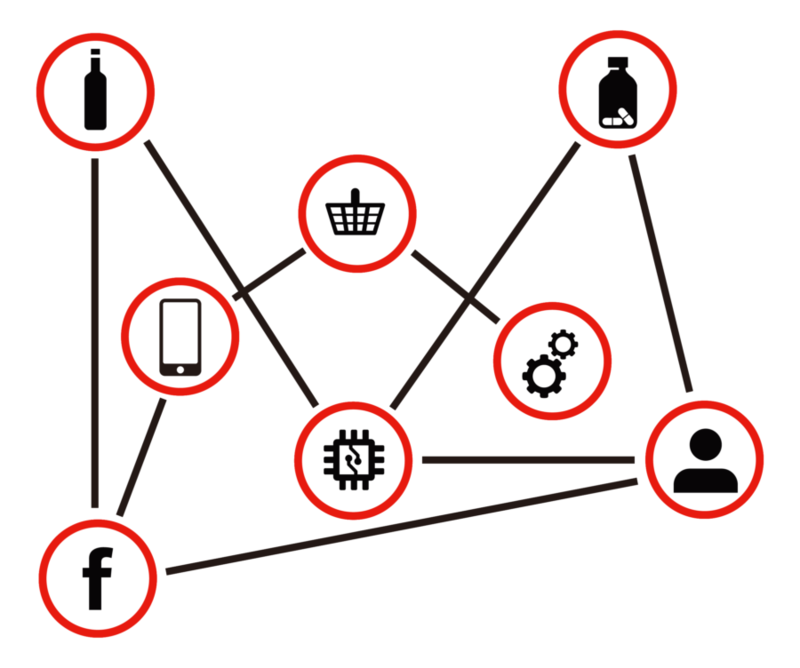 A #BornDigital™ product generates real-time analytics and can be more easily tracked throughout the supply chain, streamlining operations and enabling brands to follow products from the factory floor to the consumer’s home, achieving better quality control, enforcing counterfeiting measures, and mitigating the financial and reputation risks associated with loss, theft, damage, and product recalls. Additionally, digitized packaging and labeling allows brands to access new opportunities for innovation simply by turning products into owned media channels for direct digital connections with customers. By digitizing their products in the cloud and then operating a portfolio of digital applications and services , brands can provide consumers with enhanced experiences, including personalized content, sustainability information, e-commerce re-ordering capabilities and loyalty rewards. As futurist and author William Gibson once observed, the future is already here, it’s just not evenly distributed. Brands already have the means to leverage smart labels and packaging to activate their physical products as digital assets to fuel innovation, growth, and new business models. In other words, connectivity is at the heart of digital business transformation, and the future of the smart, digital revolution can be realized today in products #BornDigital™. This piece was originally published by The European Label Forum. Andy will be speaking at the FINAT European Label Forum on Thursday, June 8, sharing why “data is the new oil,” the important role labels and tags play in the smart products revolution and how label companies can prepare themselves for new opportunities and business models.